With some system controllers, Stevie would be all thumbs. What use are numbers when you can't see? ... Even Stevie can fumble his way through a joystick. 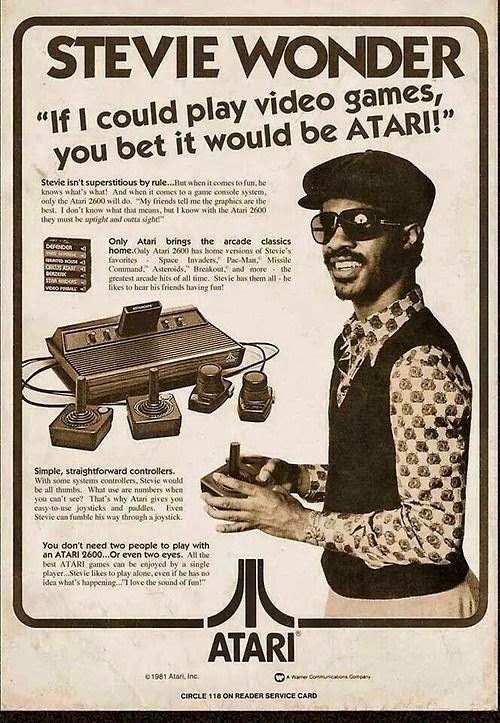 All the best ATARI games can be enjoyed by a single player... Stevie likes to play alone, even if he has no idea what's happening... "I love the sound of fun!" I wouldn't have believed it if I hadn't seen it for myself. Bless you Stevie.